The 2018 PNCMI (Polarised Neutrons for Condensed-Matter Investigations) International Conference will be held in Milton Hill near Abingdon, UK, on the 3rd - 6th July 2018. 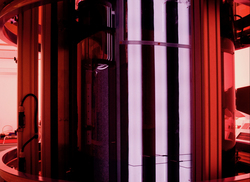 The conference will cover the latest condensed-matter investigations using polarised neutrons and state-of-the-art methodologies and techniques of polarised-neutron production and utilisation for novel instrumentation and experiments, with emphasis on prospects for new science and instrument concepts as well as combining neutrons with complementary techniques and in-situ secondary measurements. 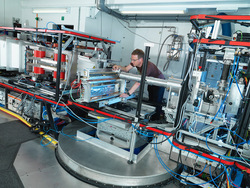 The conference will include a tour of the polarised-neutron facilities at the ISIS Neutron and Muon Facility at the Rutherford Appleton Laboratory. There will also be a Polarized Neutron School for students held before the main meeting on the 1st – 2nd of July 2018 at ISIS.